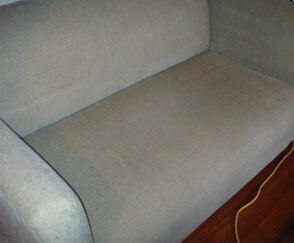 Upholstery Refurbishing « PROTEK Onsite. Overnight. All specified upholstered furnishing will be thoroughly vacuumed with a specialized Green Label* vacuum to remove dust, dust mites, and dust mite feces. Surfaces will then be spot cleaned, and if necessary, spot cleaned again. All other surfaces i.e. wood, fiberglass, stainless steel, or chrome will be washed, polished, treated -and/or lubricated as required. 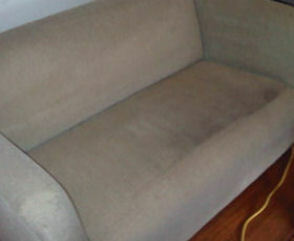 Since some manufacturers did not anticipate future maintenance in the design of their products, and some upholsters may not have maintained quality standards, as such there is a minor risk of possible shrinkage, fugitive colors, seam separation, change in texture, or other conditions that cannot be anticipated by our personnel. Although these are minimal risks, they are beyond Protek’s control. * Green Label refers to vacuums which are specifically designed to meet the highest standards for removing soil and protecting indoor air quality. Certified to release no more than 100 micrograms of dust particles per cubic meter of air, these vacuums are designed to keep dirt and dust locked inside. Reupolstering is performed off-site. Adhering to the strict CAL 133 regulations, Protek provides all materials including fabric, foam rubber, padding, and all supplies. Pickup and delivery is included. If needed, we can provide loaners.